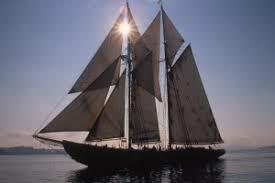 Greet Bluenose II Aboard Adventure! Join Gloucester’s flagship Schooner Adventure to meet Canada’s Bluenose II as she arrives for her first visit to Gloucester in a decade! The schooners Columbia, Ardelle, and Thomas Lannon are also part of the welcoming flotilla. Click here to get your tickets today.